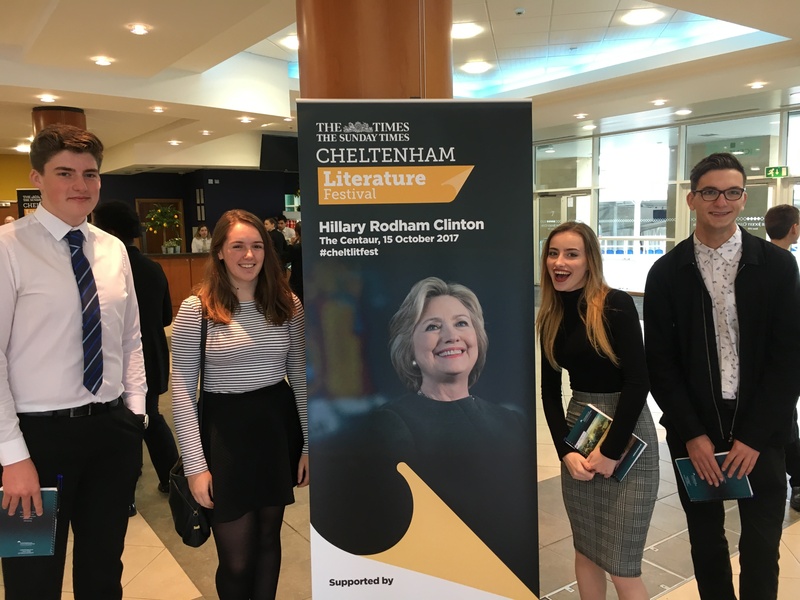 Hillary Clinton came to visit Cheltenham to discuss, among other things, her hatred of Donald Trump! In the audience were forty students from nine surrounding schools and students studying journalism from Gloucestershire University. The talk was based around an interview with Mariella Frostrup who asked questions regarding her book “What Happened”; which is her in-depth study of the 2016 presidential election results. Amelia Threadgill, Head Girl at Newent, was introduced to Mrs Clinton and found the situation “quite surreal”. In response to this, something she clearly feels very strongly about, Mrs Clinton spoke of the vast number of deaths due to gun violence and how she was very much supporting Obama. This clear compassion and enthusiasm for tighter gun control spread through the audience with people showing their clear support. It was clear that gun control was not the only subject that Hillary feels strongly about. A question from a student from the University of Gloucestershire regarding more opportunities for women allowed Mrs Clinton to show her drive once again and she gave a rallying response. Rumours played a big part in the election campaign and Mrs Clinton tackled these head on showing her insight of the rumours and shooting down the myths. Upon the end of the talk, the audience showed their appreciation with a standing ovation and clapping until the lights bought the fantastic event to its end. All students were thrilled at the being given the opportunity to attend such a prestigious event and thanked the University of Gloucestershire for their support.